Antioxidants Benefits: Health, Antiaging, Cancer Prevention, Skin Care and More! Health, Antiaging, Cancer Prevention, Skin Care, and More! Antioxidants benefits from acai, pomegranate, nopal juice, wine, berries and antioxidant dietary supplements have been at the heart of the latest exciting health research! Antioxidants are more than just one of the latest nutritional buzzwords that marketers use in order to promote their particular product. Antioxidants, whether they come from antioxidant rich foods or from a bottle, are important wellness supplements. An antioxidant definition is a substance that functions as a cellular defense system to destroy free radicals, preventing degenerative cellular damage. Antioxidants are naturally occurring plant chemicals that destroy free radicals in your body at the cellular level. If the free radicals are left unchecked, your cells start to die. This will cause premature aging and even debilitating illnesses. In order to help yourself to age gracefully and perhaps disease free, (those are just two of the many antioxidants benefits) attempt to increase your antioxidant intake by eating foods high in antioxidants. It is also a good idea to take a daily antioxidant supplement. Don't miss this great antioxidant dietary supplement! To get over 100 different and powerful antioxidants efficiently, try the antioxidant dietary supplement Antioxidant Superfood by Futurebiotics - this link to eVitamins will give you 20% to 42% off retail! This antioxidant supplement gives you the full recommended 5000 ORAC units of antioxidants per day through berry extracts, grape extract, pomegranate extract, and mangosteen fruit. Since both illness and wellness begin at the cellular level, so does also the cause and prevention. The definition of free radicals is an atom without its outer electron shell filled. This unstable free radical structure causes these atoms to be very unstable, and they are desperate to steal an electron anywhere they can. The free radicals will grab an electron from a nearby molecule or atom, making that once stable atom a free radical. This stealing of electrons will both damage and/or destroy your healthy cells. This kind of trauma on healthy cells is called oxidative stress. Scientists estimate that approximately 10,000 free radicals are attacking your cells every second of every day— imagine the cellular damage! The destroying action of free radicals is the primary cause of many degenerative diseases and premature aging. Antioxidants are the key to combating oxidative stress. Antioxidant molecules are chemically stable molecules, protecting the body and the cells from the free radical action by simply donating one of their own electrons. The free radical is then neutralized, happy and stops damaging healthy cells. Antioxidants help to prevent cell and tissue damage by donating and thus neutralizing the destruction of the free radicals. According to an article in Prevention magazine, free radicals are responsible for at least 60 different health-related problems. It is imperative for your good health to make sure that you are getting all of the antioxidants benefits. There are two sources to get your cellular protection against free radicals: From the food you eat (Remember, they are plant chemicals!) and from supplements. Here are a few antioxidants benefits. - Antioxidants protect against several different types of cancers. - Protect against cardiovascular disease. - Helps prevent memory impairment and possibly, Alzheimer’s disease. - May help prevent the onset of diabetes. - Helps eyesight by preventing macular degeneration. The benefits of antioxidants are many. Antioxidants in their quest to search and destroy free radicals may indeed protect our bodies from many degenerative diseases. To be able to live long and prosper, without suffering aches and pains usually associated with aging, is one of the benefits of antioxidants. A lack of disease may very well contribute to longevity. A diet high in antioxidants may very well be one of the factors that influence longevity, a factor that can be controlled by the individual. Many times foods that are known to be “good for you” have gotten that reputation because they are foods high in antioxidants. A good rule of thumb when looking for the best antioxidant foods to reap all of the antioxidants benefits, is simply fresh fruits and vegetables. Fruits and vegetables are antioxidant-rich foods. If they are eaten fresh and in particular, raw, the antioxidants they contain are not destroyed by processing. 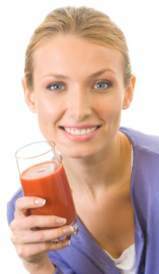 • Beta-carotene: Carrots and other dark orange fruits and vegetables— neutralizes free radicals. • Betalains: Nopal juice, beets, swiss chard— neutralizes free radicals, reduces inflamation, may protect against cancer. • Lutein: Kale, collards, spinach, corn, citrus fruits— maintains healthy vision. • Lycopene: Tomatoes and processed tomato products— prostrate health. • Anthocyanidins: Berries, cherries and grape— healthy brain functions. • Flavanols: Tea, cocoa, apples, grapes, onions, broccoli— a healthy heart and strengthens cellular defenses. • Proanthocyanidins: Cinnamon, berries, apples, cocoa, grapes— urinary tract and heart health. • Sulforaphan: Cauliflower, broccoli, sprouts, cabbage, kale horseradish— detoxification, strengthens cellular defenses. • Sulfides: Garlic, onions, leeks, scallions, broccoli, cabbage, collards— detox, heart health, increase immune functions. Don't miss this great antioxidant dietary supplement! To get over 100 different and powerful antioxidants efficiently, try the antioxidant supplement Antioxidant Superfood by Futurebiotics - this link to eVitamins will give you 20% to 42% off retail! This antioxidant supplement gives you the full recommended 5000 ORAC units of antioxidants per day through berry extracts, grape extract, pomegranate extract, and mangosteen fruit. The term “antioxidant chocolate” seems at first glance to be an oxymoron. According to the list above, both chocolate and cocoa are high in flavanols and proanthocyanidins. These particular antioxidants found in this delicious treat are good for your heart and can help promote urinary tract health. Antioxidant chocolate not only tastes delicious but also has many antioxidants benefits. Looking for a powerful antioxidant supplement? Look no farther! I have found an antioxidant supplement that contains over 100 different antioxidants! To make sure that you are getting maximum antioxidant protection, try Rice-E. Connected with the marketing of antioxidants in both foods and supplements is the term ORAC score or ORAC value. An ORAC value is measurement of the amount of antioxidants in a particular food. 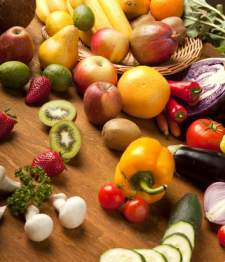 Foods high in antioxidants earn a higher ORAC rating than foods low in antioxidants. The higher the ORAC values, the more antioxidant rich the food or supplement is.